What is the ERASMUS + program ? The ERASMUS + program is a program of the European Union for education, learning, youth, and sport. It aims to help young people who want to go abroad to study, to do internships in european companies or discover a new culture, getting new knowledges and experiences. Young people who beneficiate from the ERASMUS + program get profesional and adaptation skills, which are very important in the labour world . It also helps them to develop their open-mindedness thanks to the knowledge of other languages and cultures and thus, helps them to understand the environment in which they live. Taking advantage of the “European Mobility Week” is interesting to explain what is the mobility and why is spoken both lately of the mobility sustainable. For mobility it means all movements of people and goods, which are produced in a physical environment. When we talk about urban mobility we mean all shifts taking place in the city. These displacements are carried out in different means or systems of transport: car, public transport … but also walking and cycling. All with a clear goal: to bridge the gap that separates us from places where satisfy our desires or needs. Ie facilitate accessibility to certain places. So we could say that accessibility is the objective through pursues transport mobility. Having explained the concept of Mobility and Accessibility, What is meaning of “sustainable mobility”? In recent times, especially since he left the Niantic company videogame Pokemon Go, Augmented Reality has begun to be in fashion in all the world, displacing even the Virtual Reality that ends not be a “reality “or rather, it does not reach an optimum level in terms of quality / price. But do you really know what is augmented reality? 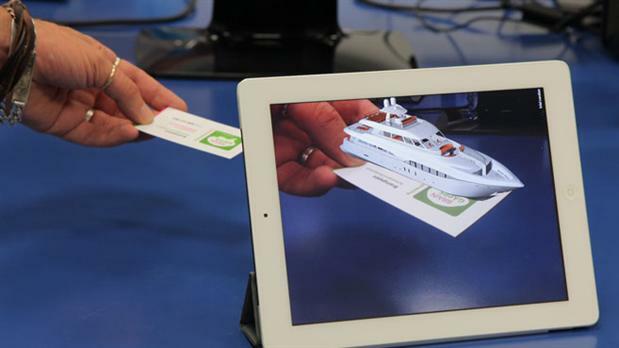 Augmented reality is to combine the real world with the virtual by a computer process, increasing the visual experience and improving the quality of communication. With this technology you can add visual information to reality, and create all kinds of interactive experiences: 3D product catalogs, virtual testers clothing, video games, clothing designs or rooms and more. To understand what is Cloud Computing, we can make the analogy with electrical power. When it started using electricity, a company needed to have a generator where it was to consume electricity. The company itself was responsible for installation and maintenance. Today you plug any device to the network, and you pay for what you have consumed. Cloud Computing is the same concept. We no longer buy servers for our company, put a space, install multiple operating systems, platforms, applications, prepare it to service on Internet, keep it, acquire more capacity when they are small, backup … Instead there are companies that offer this infrastructure, and most importantly, with payment formats for use. If you consume fewer resources you pay less, if your company grows and you need more capacity, you pay more. Electric charge stations have vitally important since the main European cities have implemented various measures for the protection of the environment and decrease pollution in these cities. One of theme is the current limitation of the displacements of the new vehicles that, with exceptions, will be between 1,000 and 1,600 c.c, in addition to reducing the production of diesel car because of its manifest (excessive emissions of NO2) pollution vehicles in recent studies. Lately we have heard about Smarts Cities, even we have seen the name of any city accompanied by the “tag line” Smart City. So, do you know what Smart City means? A Smart City is managed efficiently by means of technological advances and the evolution of communication. The Smart City concept encompasses several sectors: transport, waste, energy, supplies, health, communication etc. The main objective of Smarts Cities projects is to improve economic and political efficiency of the city and the quality of life of the citizens. Today’s “take-make-dispose” economy has long relied on cheap and available resources to create conditions for growth and stability. Society now acknowledges that continued wealth generation requires a new industrial model that is less dependent on primary energy and materials. The concept of the circular economy is a way of decoupling growth from resource constraints. It reconciles growth and economic participation with prudence and equity. Companies can satisfy their resource needs by recycling and reusing materials historically discarded as waste. Those involved in waste management can develop services that allow manufacturers to capture value from materials left over after production or after a product has reached the end of its life cycle. Great technological advances have been achieved in recycling, organics processing, and waste- to-energy conversion, and these have revealed opportunities in material and component recovery. Waste-collection operators and recyclers should cooperate with manufacturers to identify and develop opportunities for value recovery, helping manufacturers design products and production processes or develop ing logistical solutions to incorporate recovered material in their production cycle. The estimation of materials cost savings of adopting a more restorative approach is over €900.000 millions per year by 2025. Leading companies are driving innovation in circular economy across product design, development of product-to-service approaches and new materials recovery methods. Companies that want to rethink their supply chain and business models should first focus on activities within their operations, where they have the most control; they can turn their attention later to activities that require the cooperation of other organizations, customers, or other stakeholders. Specifically, companies should prioritize the activities that offer the greatest potential for impact given their position on the production circle. European Commission is promoting Circular Economy initiatives and projects providing funding through programs such as Horizon 2020. You can find this opportunities accessing to European Funding Observatory. We would like to encourage you to discover it (premium version can be tested for free). The term “strategy” is perhaps one of the terms more monopolized in the company. We use the word ‘strategy’ to refer to any action, from ways of proceeding in business to our own attitude to conduct meetings or negotiations. Such proliferation of use only devaluates the true concept of that word. However it is an important concept and sometimes crucial, to help us achieving success in every business venture… the only trick is… how to use it properly. The strategy lets you organize your future and basically planning now what you want to achieve in the future, therefore, when we speak of strategy we are talking of the medium and long term. In short term only proceed to talk about business tactics or practices, but not strategies. The Strategic Plan is a document that reflects which will be the company’s strategy or strategies in a medium term, a period ranging from 3 to 5 years. Strategic Plan clearly indicates the numerical targets, policies and lines of action to achieve in a specific period of time. In resume, it is a temporal and quantitative document. Above this, is the Master Plan, an official document, especially in large companies, where the future objectives are reflected in the long term, not less than 5 years. Basically specifies the organization’s basic qualities, such as structure, mission, or their catalogue of services, and also it establishes the purpose of the company, but it does not specified how to get it or any kind of time intervals to establish priorities. In contrast to the Strategic Plan, the Master Plan is qualitative and timeless. The major difference between the two, is the level to which are placed. While the Master Plan would be at a corporate level the second would be at an Executive or business level. The strategic plan facilitates future vision, allows you to evaluate the real situation of the company and acts as a starting point for a true business planning. … The absence of a strategy in the medium and long term, may limit their growth in the short term and even their viability in a medium and long term. Although the financial framework of the European Union for the 2014-2020 period gathers numerous programs and instruments that facilitate the implementation of projects financed by the EU, many entrepreneurs are still viewing this option as an unknown world difficult to access. It is difficult for companies or organizations to find their marks in a very competitive and complex environment. But not considering the funding opportunities offered by the European funds for financing their innovative projects or the possibility of participating in a cooperation project would be a pity. Participating in such projects is a fantastic way for investing in their own competitiveness in medium and long-term. Lots of consulting companies and freelance peoples have emerged in order to provide their services in European funds management. They advise the companies on the whole process that have to be initiated for obtaining funding for their projects, from the search of the adequate funds to complex step that corresponds to the redaction of the proper project. Our team has wished to move forward that’s why we have gathered all our skills and knowledge in European funds management for mixing this knowhow together with the main advantages provided by the new technologies. For this new European scenario, EMC have created the European funding observatory, a digital platform that acts as a search engine in matter of European funding opportunities, gathering useful information on calls for proposals deriving from programmes as Horizon 2020, Cosme, SME Instrument and many others. The platform has been conceived as an intelligent platform that provides customized information to each company about those opportunities that match with their profiles. This service is enriched by the support of consultants’ expert in European funding who advises the companies from their initial steps to the presentation of their projects. Last week we had the opportunity to share our experience with the el Economista, and the article has been published this week in its edition for Andalusia.